Human issues are at the core of every business enterprise. The most successful leaders embrace these challenges as opportunities to improve themselves and their organizations. Additionally, executives want to support their most significant assets – their personnel – but often experience difficulty implementing the right people in the most effective positions. Furthermore, organizational leaders do not always offer adequate support to their staff members. This makes it difficult for employees to perform their duties efficiently and enthusiastically. Jackson and Mathis (2011) deduced that some of the biggest staffing problems executives face are (a) attracting and retaining key employees; (b) adjusting benefits because of inflation; (c) training and developing staff members for future job needs; (d) planning the replacement of retirees; (e) dealing with expanded use of technology; (f) complying with changes in Federal, State, and local laws; and (g) how all these conflicting issues are managed and contribute to organizational culture and performance (Jackson & Mathis, 2011). This research is an analysis of the many job replacement issues managers face when filling key positions in their organization. To offer as an example of a case study, it is organized by the premise that a staff member’s promotion to a higher managerial level within the organization creates a vacancy. As an experiment, it examines the significant task of recruiting a replacement staff member for the vacating position. The experiment is based on the personal experiences of the author of this research, as an alumnus of Capitol-EMI Records, drawing from strategies implemented during the personal departure process in pursuit of other career opportunities. This project provides a closer analysis of the employee hiring process and reveals that the most effective leaders attract high level performers by implementing the following components: (a) an analysis and the design of a detailed job description; (b) the development of efficient recruiting plans devised with strategies from successfully tested and proven methods; (c) providing training programs that introduce the organization’s culture including education on policies, rules, and regulations; and (d) the design of programs to evaluate staff member performances using proficient models in the testing and interview process. In addition, once the candidate was selected for the position, an evaluation of the new recruit’s performance levels was conducted from various methods, including observation of their behavior in the new position. The findings of this research conclude that the most effective management teams work in partnership with employees by implementing strategies and effective training programs to find, invest, and retain the best possible candidates that will help them achieve long term economic goals. The best operational supervisors create systems to recruit high level performers as well as devise efficient strategies to help manage their talent. Berger (2008) suggested that leaders implement talent management programs. This is one effective method used by many organizations to help them with the assessment process as well as measure staff member performance levels. In addition, the management systems should be designed to evaluate personnel outcomes and produce efficient methods that serve to motivate workers by helping them tap into their highest potential. Berger contended that this model creates an effective formula that can help establish a means to identify employee talent so that Human Resource (HR) units and their leaders can attract top level performers. This framework is also used as a devise to develop more effective compensation plans (Berger, 2008). The case study of this research is centered on an employee vacancy and the process of finding a qualified, suitable replacement for the position. The first step was to begin developing a well devised recruiting plan with the end goal of attracting a top level recruit who has the potential to evolve into a highly valued asset for the organization. The initial step of the job replacement process begins with the design and development of efficient recruitment strategies that can also serve to evaluate staff member performance levels. Arthur (2012) purported an effective recruiting strategy should include: (a) details and clarity of the organization’s goals, values, and mission statement; (b) programs that inspire, attract, and retain high level performers; (c) a detailed analysis and description of the position; (d) expectations and opportunities for advancement; and (e) effective compensation plans and benefit packages to reflect an organization that values and appreciates their staff members (Arthur, 2012). These components were included in the recruiting process for the experimental case study of this research. This strategy placed everyone involved in the recruitment process in a better position to assess the possibility of an organizational fit. The employer’s role is to seek out and attract the best possible candidates for the vacating position. Hayes and Ninemeier (2001) suggested applying some of the following proven effective recruitment strategies to attract high level potentials: (a) consider employees to promote from within the organization, (b) reward current employees for referrals, (c) recruit former employees, (d) create eye catching employment ads, (e) consider recruiting current and past clients or customers, (f) provide recruitment packages with special services, (g) seek and contact local employment agencies, (h) add an employment section on the company website, and (i) participate in community recruitment events and programs (Hayes & Ninemeier, 2001). These approaches were used as effective strategies for the case study of this research. This methodology was designed to attract a wide array of potential candidates to choose from to help in the decision making process. In addition, it is imperative that these systems are designed and developed to remain within the legal parameters of the Equal Employment Opportunity Commission (EEOC), the Americans with Disabilities Act of 1990 (ADA), and the Privacy Act of 1974. For example, in order to conduct a thorough background check of possible candidates it is required that each applicant sign a release form to authorize the organization to conduct one. Without such an agreement, the company risks time-consuming litigation by gathering confidential information without legal authority. Dessler (2011) cited that additional methods and guidelines should be devised to create authentic testing conditions for the employer to extract accurate employee information. This system will allow the test taker to respond in a genuine fashion rather than replying with what they perceive is the correct response the test giver wants to hear (Dessler, 2011). To extract the most authentic information for the case study of this experiment, interview questions were also focused on the candidate’s perception of codes of conduct and ethics. The evaluation process was based on transparency and alleviated the possibility of the candidate submitting false information from the onset. This plan was designed to avoid violations and falls within the legal framework of the law which ultimately serves to protect all parties involved. Leaders are also encouraged to engage in strategies that will tap into an individual’s passions in order to motivate and inspire performances that drive the organization’s success. Hayes and Ninemeier suggested that to attract the best candidate, employers must also do their part to create an organization that employees want to work for (Hayes & Ninemeier, 2001). To recruit a high level performer for this case study, methods to attract valuable staff members who are loyal and offer long term commitment are developed. In order to provide the best job description, the first task in the recruiting process is to conduct a thorough analysis of the position that needs to be filled. This examination includes the determination of duties as well as the characteristics required and methods that will be utilized from the individual who fills the spot, such as their level of education and the nature of their professional work experiences. For this experiment, the job title of the vacancy was classified as the Promotion Coordinator for the West Coast Division of EMI America Records. An analysis of the position helped provide a detailed job description. A close examination of this role revealed many forms of communication, including telephonically in real time as well as via electronic correspondence and traditional forms of communication like inter- and outer-departmental memos, emails, faxes, and so on. In addition, the post requires receipt and distribution of all promotional material within and outside of the organization and, on occasion, at an international level. The job also entails heavy interaction with top level record industry executives, including attorneys, managers, celebrity recording artists, producers, and other prominent players of the music industry. In short, this occupation requires the ability to discern proper and improper behavior with dignitaries at this level. The job analysis also reveals a requirement on occasion, of long hours, participation in after hour corporate events, concerts, movie screenings, and other events related to the organization. Short travel excursions are also part of the responsibilities included for this position. These were important elements that helped with the development of an accurate detailed job description required as part of the recruitment process to identify expectations and qualifications for the position being filled. The primary focus for the job replacement task presented in this research is to attract a top level candidate and extract accurate information from potential hires. Axulay (2012) contended that employee development needs to be measured, calculated, and strategic as a deliberate procedure (Axulay, 2012). Creating an effective and detailed job description is an important element in the recruitment process. This should include information on the jobholder’s duties, the method in which to perform their tasks, and provide details on the conditions that the individual will perform under. The job analysis stage served to gather substantial information to help in the development of this next phase: developing the job description. This stage provides the applicant details on such things as job title, tasks, and performance expectations. It also serves to screen applicants by determining information like level of education, abilities, skills, and aptitude to perform the job effectively. For this experiment, the job description includes information on the organization’s expectations of the candidate and outlines the responsibilities for the position. They include: (a) the management of all incoming calls, correspondence, and promotional material; (b) the collection, coordination, and distribution of products and radio tracking data to the applicable recipients; (c) the coordination of scheduling, travel, corporate events, and meetings for applicable staff members, including the VP and other top level executives; (d) the management and coordination of artist events in collaboration with other departments internally including marketing and publicity, as well as externally with radio stations, concert arenas, and other venues; (e) the receipt, distribution, and management of promotional material to applicable recipients;(f) the management and coordination of promotion related events on a local and national level; and (g) the management, organization and coordination of events for regional staff members. This job description provided detailed information that was significant for the candidate and helped the applicant determine whether the position was acceptable. Successful leadership strategies include a recruiting plan that implements efficient tests as part of the interview process. Wigdor (1989) postulated that methods of testing should include an analysis of skill levels, knowledge, and capabilities that are developed from a predetermined set of conditions and guidelines specific to the position being filled. 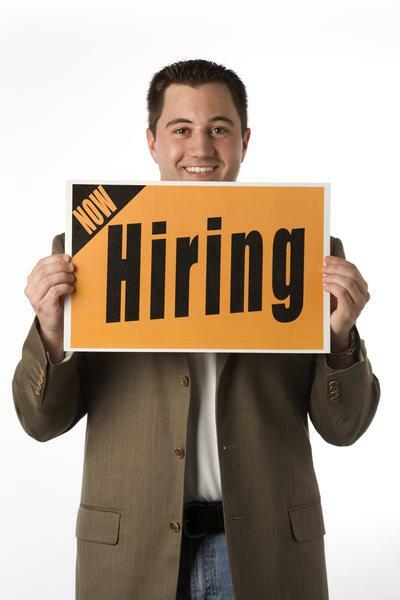 This procedure helps determine whether the applicant is qualified. It is also designed within the guidelines and regulations provided by the EEOC, ADA and other applicable civil laws to avoid violation of discrimination and privacy issues (Wigdor, 1989). In short, employee testing provides an effective way to collect accurate information directly from the potential candidate. There are a variety of testing strategies that employers can apply. Falcone (2008) postulated that to yield the best results from potential employees, leaders should determine the following information from potential applicants: (a) the motivation the candidate is applying for the position, (b) whether the individual is willing to commit to career management or merely seeking to fill a temporary position while they wait for other opportunities, (c) whether the individual applying for a salary increase using this as an opportunity for self-promotion, (d) whether the individual is willing to assume additional responsibilities, (e) how well the individual handles emotions like stress and constructive criticism, and (f) verify the individual’s work ethic (Falcone, 2008). For the experiment of this case study, the individual’s motivation in applying for the position played a significant role in the screening process for the vacant position. This method was designed to be used as another means to help assess whether the applicant was a viable candidate. The end goal for this experiment is to attract the best possible contender to fill the employee position and incorporate efficient methods to evaluate staff member performances. Welcoming a new employee into an organization is not a simple process. For this case study, HR managers worked as partners to help devise models to make the new hire’s orientation a smooth experience. This strategy helped the new recruit’s transition feel comfortable more quickly. Keefe and Sander (2011) purported that to receive an accurate appraisal, supervisors must find ways to keep their staff motivated to perform at high production levels. Doing so helps employers justify employee promotion and salary increases. It also provides a method to assess employees who fall short of organizational goals and sets up the ground work for the possibility of further training or, in worst case scenarios, dismissal procedures (Keefe & Sandler, 2004). For this research project, an evaluation system was devised to examine the following work performance related issues: (a) the level of accuracy and attention to details reflected in the new hire’s productivity, (b) the quality of their work, (c) their work habits, (d) the development of their interpersonal and teamwork skills, (e) the amount of time it takes for them to complete their tasks and whether they are able to achieve their goals, and (f) their overall work attitude. The appraisal program was designed to combine a variety of methods to measure the new recruit’s outcomes and included supervision from the departing employee as part of the evaluation process. 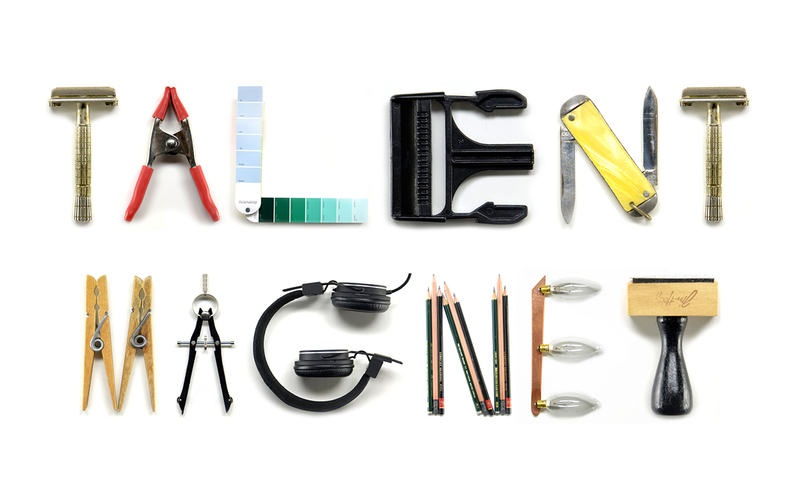 For example, by incorporating a graphic rating system it served to measure the new hire’s skills and aptitude levels. In addition, the integration of a ranking system helped identify how the new recruit compares to other employee performance levels. Implementation of the critical incident method was another strategy included. This method served to create a paper trail for specific recorded work related behavior issues. The combination of these components comprised the design of the assessment process for this experiment. 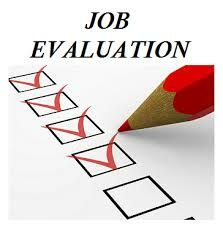 The integration of these appraisal methods were developed to yield the best outcomes for the evaluation process. Another significant aspect of devising strategic job management strategies is that it plays an important role in the development of effective compensation plans. Effectual incentive plans reward employees for outstanding performances in achieving their goals and completing assigned tasks. Kohn (1999) asserted that rewards increase the probability of individuals achieving higher performance levels. To reward employees, HR managers resort to a variety of incentive programs and award systems to compensate employees for exemplary achievements. This includes employee wages, commissions, bonuses, and other means of compensation like travel rewards, gift certificates, leased automobiles, and other similar perks (Kohn, 1999). For this case study, HR units classified this position under a predetermined grade level established by the board of directors. This particular position was categorized above the hourly wage staff level and identified as a managerial level. At this grade, the organization implements a direct payment system that includes a salary based on performance achievements. Because the position includes participation in after hour events, other indirect payment plans are included, such as (a) an expense account, (b) employer paid health insurance; (c) vacation, holiday and sick time; and (d) a retirement or IRA plan. These components comprised the salary and benefit compensation package that were devised for the case study of this project. By creating a generous compensation plan, employers communicate that in return for an employee’s services and loyalty, leaders are willing to show their appreciation and gratitude. In addition, it serves as a motivator for employees to offer higher performance levels and in return they are more likely to remain with the organization on a long term basis. Another significant component to recruiting and retaining top level employees is designing and developing effective methods to train and educate staff members. 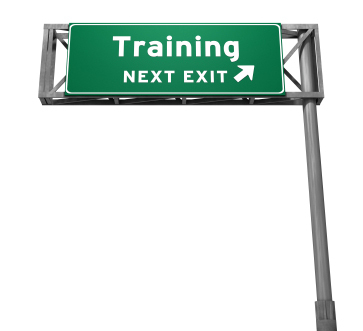 Successful executives recognize the significance that training plays during the staffing process. They comprehend that the purpose for educating and training employees is to permit them to absorb the information and transform their behavior. Rosenberg and Stolovitch (2011) explained that in order to do this, leaders must develop training programs that include: the expansion of cognitive (mental), psychomotor (physical), and effective (emotional) knowledge and skills (Rosenberg & Stolovitch, 2011). For the case study of this research, activities and learning plans were designed to incorporate practical tools and technology that helped yield the most effective outcomes for the new jobholder. A lack of motivation is usually at the core of why employees are not engaged in high performance levels. Kolb (1990) asserted that managers must develop and implement training programs that can also help determine the employees who are performing at substandard levels. This will help identify whether low performance levels are due to skill deficiencies or personal trait issues (Kolb, 1990). In this case study, once the new recruit completed the training process, the evaluation system devised helped detect whether the new employee was performing and meeting organizational expectations. The training process also included observation from the individual vacating the position of the new recruit performing their duties. This was achieved without making the new applicant feel intimated or uncomfortable. When this was accomplished effectively, the new recruit was thankful for the supervision and guidance at that early stage. Equally important is that a new hire is trained and educated in the organizational culture.It is essential a new jobholder comprehends the company’s vision as well as the acceptable parameters with which to operate. Lawson (2002) pointed out that although employees are the most valuable resource, most companies do not support this premise because the orientation process consists of ineffective programs that offer little opportunity for interaction. In addition, new recruits are inundated with learning new procedures, data, and exposure to a plethora of unfamiliar faces, all at what seems like lightning speed (Lawson, 2002). Being able to perform their duties with confidence and security is the end goal, so the observation process is meticulously devised in way that is pleasant and nonintrusive. These were strategies developed for this research project to encourage the new employee to participate enthusiastically; help them feel comfortable to contribute innovative ideas; motivate them to sustain higher levels of energy; and inspire the jobholder to engage in superior levels of productivity. Job replacement management requires the design and development of effective strategies. McCoy (2012) proposed that because leaders are dependent on employees to fulfill organizational goals, employers need to focus their energy on attracting staff members that will deliver outstanding levels in attitude, ability, and performance. In addition, leaders want to attract and maintain a motivated and passionate team of personnel and therefore apply formulas that will help employees to tap into their highest levels of human potential (McCoy, 2012). The research gathered for this case study deduced that the most efficient employers establish an effective job recruiting strategy that includes the design, development, and implementation of proven employee recruiting techniques, maintenance plans, and training programs to help managers and HR units with the difficult task of finding and retaining effective employees that will perform at top levels. The findings of this research concluded that employers who invest in their staff members, support and reward them, as well as help them develop career goals, will most likely inspire their employees to work at higher levels, remain loyal to their organizations, and achieve top levels of productivity. Arthur, D. (2012). Recruiting, interviewing, selecting & orienting new employees. New York, NY: AMACOM. Axulay, H. (2012). Employee development on a shoestring. Danvers, MA: ASTD Press. Berger, L. (2008). 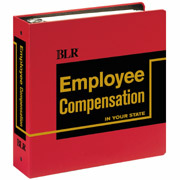 The compensation handbook. New York, NY, USA: McGraw-Hill. Falcone, P. (2008). 96 great interview questions to ask before you hire. New York, NY: AMACOM. Hayes, D., & Ninemeier, J. (2001). 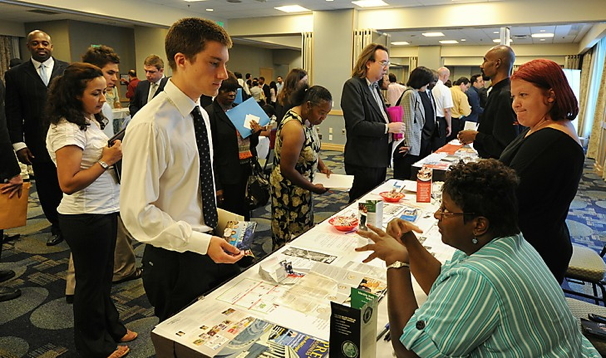 50 one-minute tips for recruiting employees. Seattle, WA, USA: Crisp Publications, Inc.
Jackson, J., & Mathis, R. (2011). Human Resource Management (13th ed.). Mason, OH, USA: South-Western Cengage Learning. Keefe, J., & Sandler, C. (2004). Performance appraisal phrase book. Avon, MA, USA: F&W Publications Company. Kohn, A. (1999). Punished by rewards. New York, NY, USA: Houghton Mifflin Company. Lawson, K. (2002). New employee orientation training. Danvers, MA: ASTD Press. McCoy, T. (2012). Compensation and motivation. CreateSpace Independent Publishing. Rosenberg, M., & Stolovitch, H. (2011). Telling ain’t training (2nd ed.). Danvers, MA: ASTD Press.